Sold by Serenity-Now and Fulfilled by Amazon. Comment: Disc(s) is/are excellent, light wear on case and artwork, Eligible for FREE Super Saving Shipping! Fast Amazon shipping plus a hassle free return policy mean your satisfaction is guaranteed! Tracking number provided with every order. Sold by PRIME 2 DAY and ships from Amazon Fulfillment. Ciaran Hinds, James Purefoy, Jodhi May. In a moment of alcoholic despair, a farmhand sells his wife and daughter to pay a debt. Years later he is a reformed and respected member of society-until his long-lost family returns seeking redemption. 2001/color/3 hrs., 30 min/NR/fullscreen. 5.0 out of 5 starsThe most obstinate man you'll ever meet. I'll admit at the outset that the, idea of sitting down to read/watch a Hardy story can give me the willies; he torments his characters so much that it becomes a trial for me to follow the hurts and humiliations they suffer. Dickens, Trollope and George Eliot do not affect me in this way at all. Having said all this, I want to praise the cast and crew of this wonderful series. Ciaran Hinds is so involved the character of Henchard, it's one of the best performances I can remember in a series. Jodhi May has to cry a lot, too much for comfort at times, but she gives an intelligent performance. James Purefoy is perfect as Farfrae; I immediately started to cast him in other TV adaptations: Little Dorrit for instance, in place of McFadyen. Three hours that go by very fast. 5.0 out of 5 starsA Superb and Riveting Period Drama! This is a lavish 2003 production by A&E which stays true to the characterization and flow of the story in Hardy's novel. The 5 major characters in this drama will hold your attention throughout as you watch how their lives intertwine and the tragedies unfold. The story centers on Michael Henchard, Mayor of Casterbridge. Henchard has a dark and shameful secret which occurs nearly 20 years before when he is then just a poor hay trusser. One day, when drunk, he sells his wife (Susan) and baby daughter (Elizabeth-Jane) to a stranger. When he regains sobriety, he tries to locate his family but they have gone abroad with the stranger. Regretting his action, Henchard vows to refrain from alcohol. He turns over a new leaf, settles in a new town (Casterbrige) and later becomes a wealthy tradesman and Mayor. Then one day, Susan returns to him with the now grown Elizabeth-Jane ("EJ", played by Jodie May), who may or may not be Henchard's real daughter. 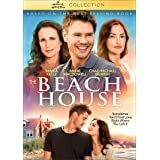 They reconcile and he "remarries" Susan, both agreeing to keep their past relationship a secret. There is relative domestic bliss in Henchard's life until the appearance of 2 other characters. The first is Donald Farfrae, a young and handsome Scotsman (played by James Purefoy) whom Henchard persuades to assist him in his wheat and corn business. When Farfrae becomes more popular than Henchard and proves to be cleverer in managing the business, Henchard becomes jealous, fires him and begins to treat him as an enemy. The problem is that at that time, Farfrae is already subtly courting EJ. The second character to rock the boat is a beautiful woman, Lucetta (played by Polly Walker) who is Henchard's secret lover before the return of Susan. The acting by all the actors is phenomenal. Ciaran Hinds is perfect in the title role. James Purefoy, with his dreamy eyes and sensuous lips is a heavensent as the handsome, gentle and well-meaning Farfrae. But the best performance is by Jodie May who plays the sweet, uncomplaining (and quietly suffering) EJ most sensitively. She is my favourite character in the story. 1) EJ and Farfrae meeting in a barn while it is raining heavily outside. After they have talked a little, Farfrae tells EJ that she has dust(husks?) all over her dress. EJ tries to wipe them off, but Farfrae (in that delicious Scottish accent of his) tells her that "blowing is best" (so as not to ruin the dress). He then gets real close to her to blow the dust away. So gently he does it, blowing around EJ and close to her neck. It is a most romantic scene. Throughout you see that EJ is shy about it but there is an unmistakably delighted expression on her face. 2) When Henchard chooses to reveal a terrible secret to EJ, causing her heart to break. As she cries bitterly, you realize all the more what a wonderful actress Jodie May is. Her tears are genuine, large drops that literally rain down from her eyes. 3) The scene involving Lucetta in her red dress, and two human effigies. I cannot forget how Lucetta collapses to the floor in hearsickness when she catches sight of the effigies from her window, and her anguished cries of "Oh, I shall die. I shall die." I find this scene most sad and harrowing. To sum it up, this is a most superior and sumptuous period drama and I highly recommend it. The storyline is meaningful and the performances absolutely unforgetable. 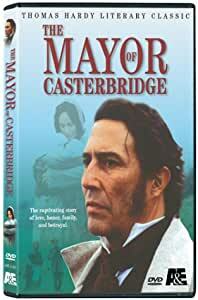 I enjoyed this version of The Mayor of Casterbridge, although it took me a second start watching it to truly connect and enjoy the ride. I haven't seen any other film version, but have read the book, and consider it one of my favorites, as well as one of Thomas Hardy's best. On my initial attempt to watch the film, I stopped about 10 minutes into it,and put it aside for several days. 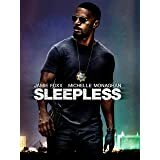 Although I thought it beautifully realized (so far as visual quality, setting, and the actors chosen to play the roles), I found the fastpace truly irritating. I must admit, I'd hoped for a much more leisurely, thoughtful rendering of the book. It all felt too rushed - and the beginning is important, as it sets up the entire story and all that follows. If you don't care about the characters in the initial set-up, how can you possibly care what comes after? I appreciate that with a book being transformed into film, some license must be taken. 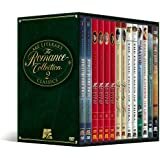 After all, Sense and Sensibility (Ang Lee's version, that is, with the screen play by Emma T) took plenty of license - combining some characters, leaving others out, and transferring dialogue to characters that in the book had not uttered those particular words - all for expediency, and to keep the film not only moving along. But it "felt" like Jane Austen, and care was clearly taken to ensure that Austen's tone and sense of time, place and circumstance were not sacrificed on the alter of expediency. As clearly Emma and Ang were able to do it (and in a lot less running time than given this version of The M of C), I figured someone bothering to translate The Mayor of Casterbridge to film would be able to do the same. With this version of The Mayor, all important plot points seem to be there, but the atmosphere/tone of the book I loved so much was sorely lacking - for me, an important issue. Why else does one enjoy and read one author over another? What else makes one brilliant while another (telling a similar tale)pedestrian? Why bother to make a film of an author's work if you are totally insensitive to what it was that made the author go through the long, arduace process of bringing that particular story and those particular characters to life in print? I finally figured, what the heck! I've already bought the DVD (based on my love of the book), so I might as well watch the thing. And truth be told, I did enjoy it. After awhile, I found myself once again swept up in the story, and actually caring what happens, as I had on reading the book. Much of that has to do with the casting, and the quality of the actors chosen. All managed to paint vivid impressions with the few brushstrokes the limited time alotted them allowed. The main characters were extremely well cast. I particularly like the lead actress playing Elizabeth Jane's mother. Frankly (in my opinion), she gave the character more depth than Hardy had in the book, giving flesh to the one character in the book that I had always felt was an enigma. The actress playing Elizabeth Jane was spot on, as was her "love interest", the Mayor's foil. Polly Walker gave a beautifully nuanced performance that truly brought to life a women who continues to choose the direction dictated by her heart, in an age when such choices could mean utter ruin. (In today's world, she'd likely be running the show!) The sexual politics of the day were wonderfully realized through her performance in particular. And Ciaran Hinds (sp?) was, I thought, brilliant in his depiction of a basically decent man struggling to take possession of his soul, trying to make up for a regretable personal history, continually tortured by the character flaws that continue to haunt. His performance gave final, true weight to the entire endeavor. I must admit I had only seen him in "Calendar Girls" up to that point (in which he was very good as well, in a much more limited role), and was truly impressed at his ability to get across as complex a character as The Mayor of Casterbridge. So yes, eventually, I allowed the film to take hold, and the high caliber of the acting to sweep me along. But again - and not to give anything away - I wish that more time had been allowed at the end of the film as well. I do suppose that, as the film was clearly a made-for-television flick, some time constraints were imposed. I just wish that, at times, the director had let us linger just a bit longer at certain points in the story. Cramming everything in Is a talent, I suppose. But more thought should have been given to why Hardy is still read and appreciated nearly two hundered years later (perhaps appreciated more now than during his lifetime). More care should have been taken to get across all the subtle moments that are the hallmark of Hardy - all the happiness,tragedy, and in-between that reveal who we are as human beings; the choices we make and the consequences of those choices; the sometimes oppressive weight of the society and times we live in; the intentional as well as the unintentional cruelties we sometimes inflict on each other. My feelings for Hardy's work, as I am sure it must be for others, runs much deeper than his ability to spin a good yarn. When I read the Mayor of Casterbridge, I lingered on his words, and marvelled at the depth he was able to achieve in simple, sparing language. This film version of the book sometimes felt like it had been made by a devotee of the Evelyn Wood School for Speed Reading, not by someone who savoured the experience of being allowed into Hardy's world. Savouring Hardy's words and the emotions they bring out should have been given as high a priority in the director's mind as the plot points. Clearly he was surrounded by the talent to pull it off. And if he couldn't, he should have just handed the reins over someone who could - like (not to belabour the point! )Ang Lee, a maestro with true vision and an artist's touch, someone able to magically capture powerful emotions with a few brush stroke, all the while getting across a strong sense of the time and place in which the story is unfolding. The acting made the whole enterprise rise to Nearly the top, however. So my four stars is a tribute to all the wonderful actors (including those not mentioned in this review) who made this version of The Mayor of Casterbridge worth watching. And the one point taken away is for the clear lack of appreciation the director showed for the material handed him.